In CISV individuals and their perspectives meet. Within these meetings, peace education happens. With concrete methods and starting from challenges we encounter in society, CISV empowers people to be active citizens, locally as well as globally. We are a global community of dedicated volunteers, based in over two hundred cities worldwide, creating opportunities for all ages to experience the enrichment of cultural diversity through our unique educational programmes. We are founded on the belief that a culture of peace is possible through education and through friendship, and that positive change can be made by starting with young people. 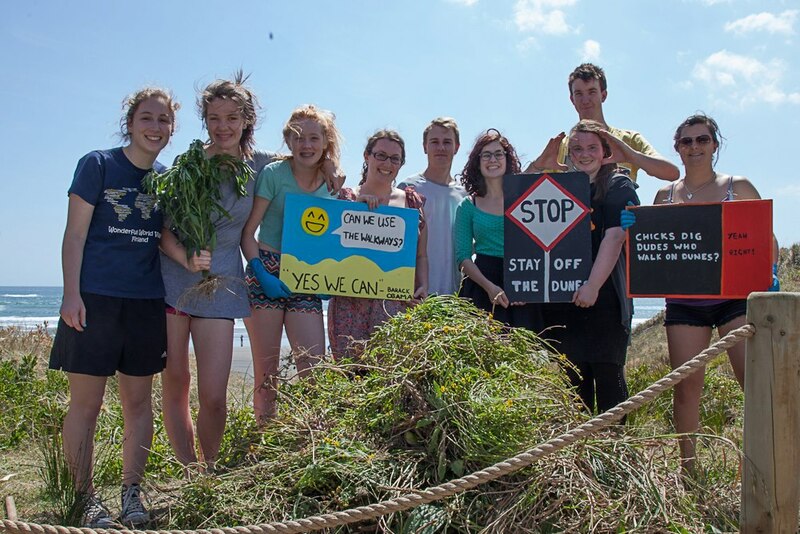 In New Zealand we have two chapters; one in Auckland and the other in Christchurch. Explore our website and find out more about up-coming events in each of our chapters. 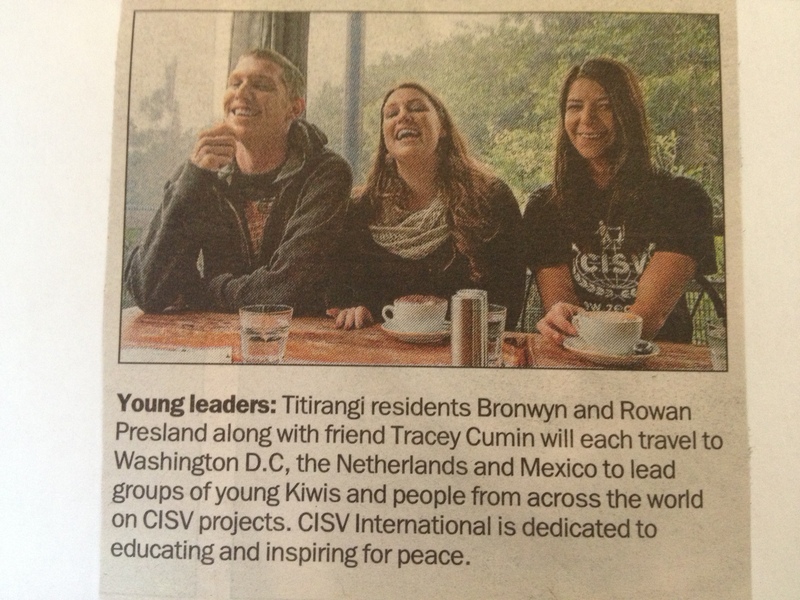 Rowan, Bronwyn and Tracey in a local newspaper.